Got Happy Hour Fatigue? Try a Mocktail Instead! What is Happy Hour Fatigue? 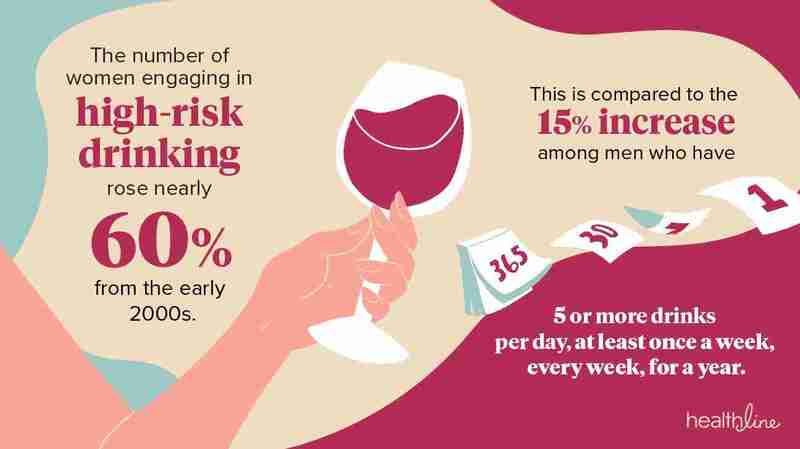 Healthline and the American Liver Foundation have partnered up to create the “Happy Hour Fatigue” campaign, and spark conversation regarding the way that we drink. Alcohol consumption can have a huge impact on our health, and well-being. Their goal is to promote a healthier happy hour. Excessive alcohol use can result in lower productivity at work, greater healthcare expenses, and increased costs due to accidents and contact with law enforcement officers. Not to mention, the numbers are rising. Both men and women are participating in more high risk drinking, and deaths from alcohol cirrhosis are increasing. Should alcohol be consumed at all? That can be a personal decision, but experts believe alcohol can be safely consumed in moderation, meaning 1 drink per day for women, 2 drinks per day for men. Be careful if you are taking medications, there may be interactions! Interested in learning more about the Happy Hour Fatigue campaign? Click here! If you’re looking to end the happy hour fatigue and feel better, reducing your alcohol consumption and swapping out for alternatives may help! Need some inspiration? 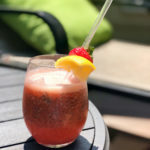 Find a few of our favorite mocktail recipes below! Other options: sip kombucha from a wine glass or a small batch craft soda from the glass bottle (my favorite is Bruce Cost Ginger Ale, which also comes in a lower sugar version if you’re worried about your sugar intake). Check out this refreshing summer beverage, chia seed lemonade! In a blender, add strawberries and lemon juice, puree together for a minute or until smooth and consistent. Add water and sugar and continue blending until the mixture has a smooth consistency. Allow the lemonade to chill in refrigerator. Meanwhile, In a jar or container with lid, mix together 3 TBSP of chia seeds and 1 cup of water. Stir together vigorously for about 30 seconds. Allow this mixture to sit in your refrigerator overnight. In the morning, your chia seed mixture will be similar to a gel-like consistency. Mix together around ⅓ cup of chia seed mixture with ⅔ cup of chilled lemonade. Mojito mocktail season is here! Enjoy this fabulous drink with a dash of chia seeds for an extra boost of omega-3 fatty acids to support good cholesterol! In a jar or container with lid, mix together 3 T of chia seeds and 1 cup of water. Stir together vigorously for about 30 seconds. Portion fruit/chia puree into cups and add ice on top. Pour kombucha over the ice and squeeze a little bit of lime and mix. 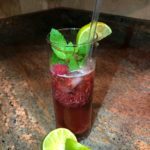 Garnish with mint and lime and enjoy!